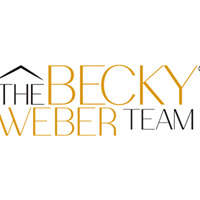 We are pleased to announce that Amanda Bayhi has joined The Becky Weber Team as a buyer's agent. She is very excited about her new career and we are pleased she chose to join our team. I have now been affiliated with Re/Max Real Estate Partners for one year! It is an awesome place to work! I love it here and only regret not tranferring my license many years ago. The atmophere is so professional and everyone is so pleasant and a pleasure to work with. I was associated with a small local broker, Larry Trunk Real Estate. Being with Re/Max allows me to offer my clients so much more in every aspect. Re/Max is second to none when it comes to keeping up with technology and marketing. It allows us to service our clients to much better. I didn't know what I was missing all those 24 years that I was with a small broker. NEVER A BETTER TIME TO BUY! WOW!! Interest rates are @ 4.5% for conventional 30 yr. loans, there is still a decent inventory of homes for sale and prices have not begun to rise yet! PLUS, if you act now, you could still possibly qualify for the $8,000 tax credit. Our team has 2 BUYER'S AGENTS that specialize in representing buyers ready to assist you every step of the way in a professional manner. THE BECKY WEBER TEAM had a HOME BUYER SEMINAR last Tuesday. The attendance was good for our first seminar and all the buyers said that they learned alot. We kept it very simple and informal. We used the conference room at our office and had sandwiches and chips. We explained the home buying process in simple terms from start to finish. We started with Cody Perilloux with Integra Financial explaining the pre-qualification process, then Erin Helwig explained how to get set up on our website and begin looking for a home. Next, Sandy Lemoine went over the purchase agreement and Ashley Klein talked about her role as transaction coordiantor. Finally, Danny Douglass with Crescent Title went over all the legal terms and explained the closing process. We will be having another one in the near future. I will post it when we set a date. Please rsvp to Ashley 504-457-2602. We will walk you through the home buying process and have a loan officer, home inspections company, insurance agent,&title company. Come enjoy some light refreshments. 1ST TIME HOME BUYERS OR HAVE NOT OWNED A HOME IN THE LAST 3 YEARS AND YOU MAY BE ELIGIBLE FOR AND $8,000 TAX CREDIT. IF YOUR TAXES ARE NOT THAT MUCH, YOU WILL RECEIVED A CHECK FOR THE REMAINDER!! If you are behind on your mortgage payment, call us to help you. We can sell your home and get your equity out for you. If there is no equity, we can assist you in a short sale. Don't be misled into thinking that giving your house back to the bank is the best option. It is much harder to clear credit after a foreclosure and the bank can still come after you to collect their losses. It might not be over! You need an agent with experience in these matters. Yesterday I did continuing education on handling foreclosures and short sales. It was very informative and I learned quite a bit even though I do have experience handling these sales. I am going to get certified in handling foreclosures and short sales. We will listen to your needs or desires and then work at your pace. We can be patient and not high pressure OR we can work at a very past pace if you are in a hurry. We can are working for you!